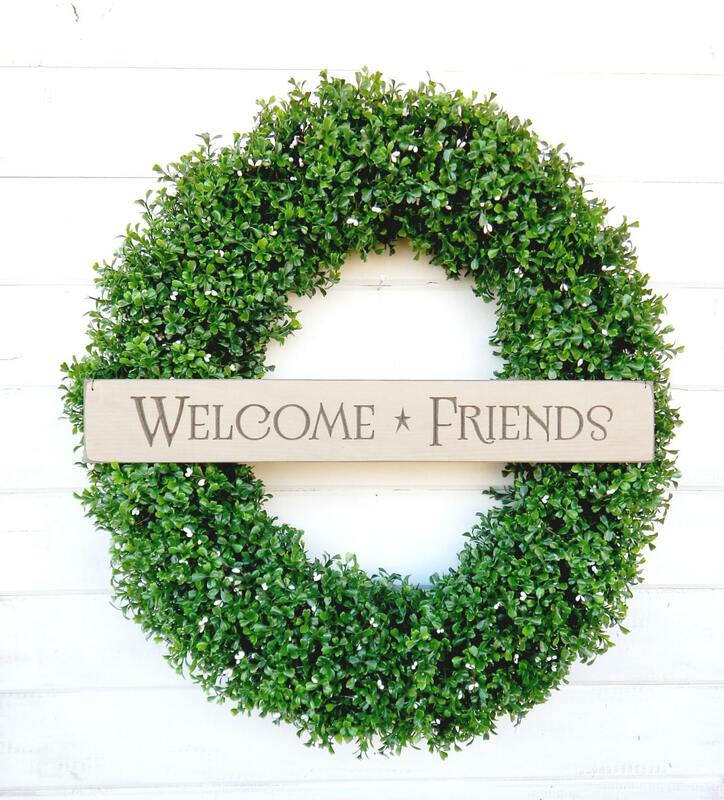 A Beautiful LARGE Boxwood Wreath!! 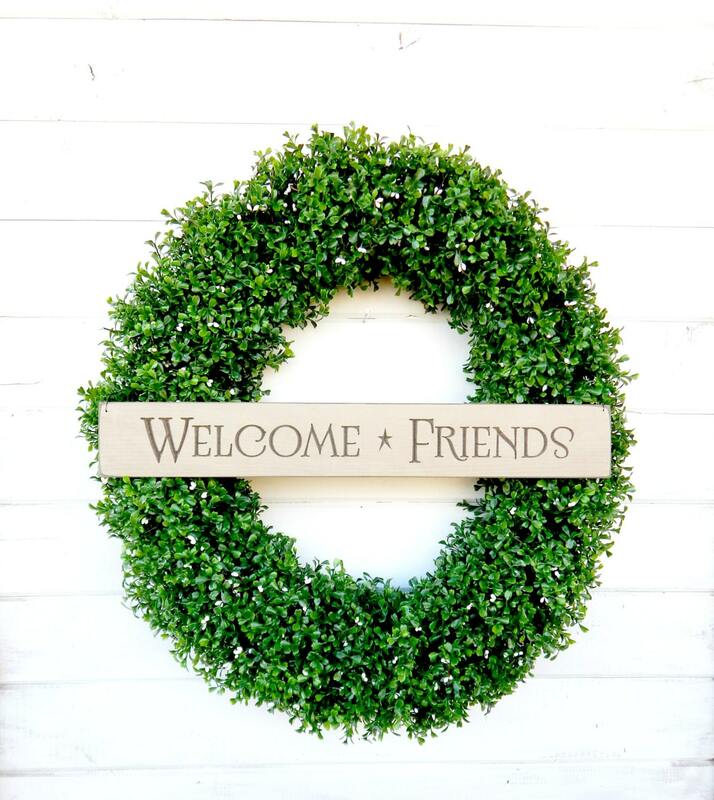 This Scented Artificial Boxwood Wreath can be used all year long.....It has a wooden WELCOME sign hanging in the middle!! 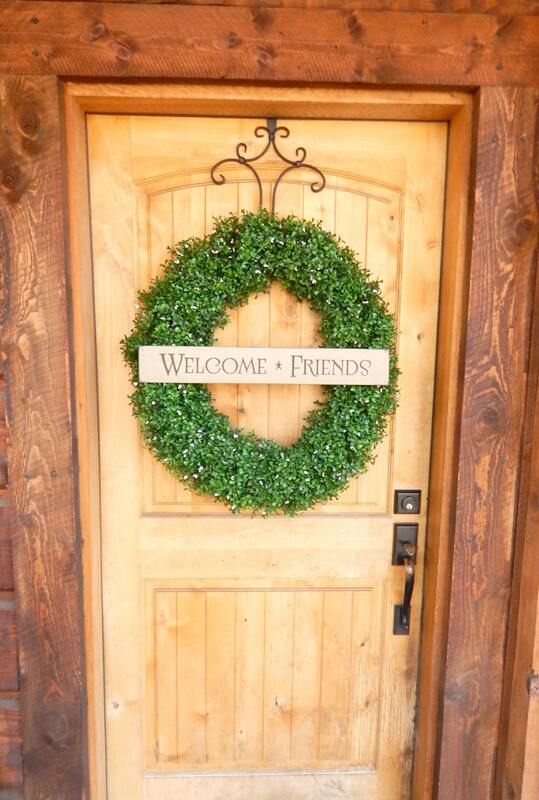 Beautiful but ordered on the 8 and delivered on the 27 missed the party I ordered it for.